He had a prime spot and ended his speech with a few words that caused him to get resoundingly booed. That he ran a vigorous campaign against Trump, who is now the nominee, that he (as well as others vying for the nomination) still has ardent supporters of his own, and that he failed to endorse Trump in his speech, are part of the background here. But it’s this idea of conscience that I find so interesting, for who would have thought that advocating for it would be greeted in such a fashion? “Vote your conscience” controversial? What happened to American individualism? But if you ask me, they were right to boo him — delegates working hard to rally around their nominee (despite obvious fractures in the party) correctly understood that conscience is a code word, a rhetorical trope, that dissenters use to secure a place for themselves at the table. Too often — and I’m looking at you, scholars of religion — we hear people’s claims about belief, faith, experience, as well as this thing we call conscience, as if these words correspond to some pristine inner state that can only be expressed, pushed out into the word, symbolically, and then grasped by the outsider only in some inadequate fashion. (Don’t kid yourself: the correspondence theory of meaning still reins in our field.) Rather, as these delegates clearly understood the moment he uttered the words (that is, the moment someone with whom we disagree invokes such terms), the presumption of such an inner state, whatever one calls it, helps to create a certain sort of social space, perhaps privileged or maybe marginalized — but a social, and thus a political and therefore a contestable, space, all the same. In Cruz’s case, it’s a legitimized space where one can claim the identity of being a Republican while not supporting their nominee — i.e., while possibly working to undermine the nominee (aka not vote for him) and thus undermine the party. His audience heard all of this. And they reacted accordingly. They booed. If we can so clearly hear the arm wrestling going on in those three words in his speech’s closing last night, along with the reaction it evoked, what about all the people we study who routinely talk and write about their faith, their beliefs, and the experiences they’ve had. How do we hear these claims and what, as scholars, do we do with them? And if we treat them any differently than we would Cruz’s invocation of “conscience,” what warrant do we have for the change in our approach…? 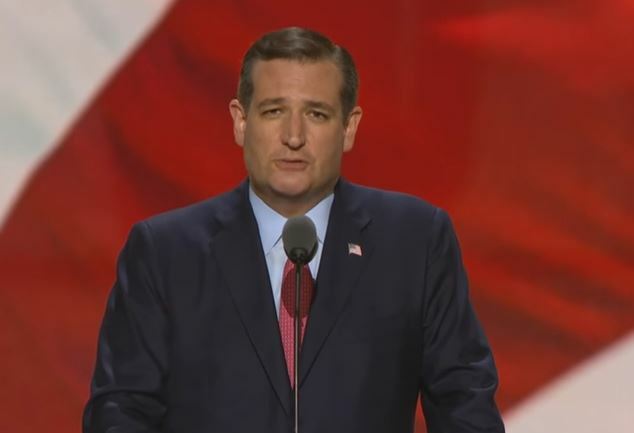 This entry was posted in Faculty Blog, Relevance of Humanities, Religion in Culture and tagged Belief, Conscience, Experience, Faith, Republican National Convention, Ted Cruz by Russell McCutcheon. Bookmark the permalink.